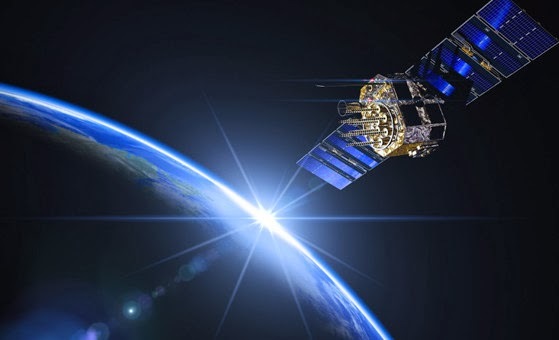 During measurements of spacecraft flybys of Earth, very slight anomalies in spacecraft speed have been detected. Dark mater: The stuff that possesses mass, yet refuses to interact with radiation, so we can't 'see' it. Its nature has eluded scientists for decades, but there could be a reservoir of the stuff sitting right on our doorstep — if the weird measurements made by Global Positioning System (GPS) satellites are proven to be caused by a halo of the so-called non-baryonic matter around our planet. During a presentation at the American Geophysical Union (AGU) conference in San Francisco in December, GPS expert Ben Harris (of the University of Texas at Arlington) described some tricky measurements of the Earth’s mass using the armada of GPS satellites that are in orbit around our planet. He noticed a mass discrepancy when compared with “official” mass measurements as quoted by the International Astronomical Union (IAU).